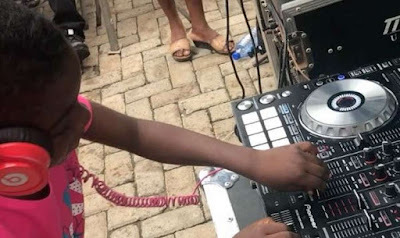 Veteran Nigerian actor, Ramsey Nouah has shared a mindblowing video of a seven-year-old Ghanaian DJ showcasing raw talent in Ghana. Indeed, ‘we are in the jet age’ as rightly pointed out by the fascinated actor. The girl is seen handling the keyboards just like a professional would do and it is strange to think that she can do this at age 7! “I was blown away! A seven year old Ghanaian female DJ ???!! !…clearly we are in the jet age !..